It was a gift from my sister, Beth! I have read a few books by Lauren Oliver now although I’ve only reviewed one on the blog. I was so intrigued by the concept of Replica. Two separate stories that come together to make one. I was pretty much sold on that concept alone. I also loved the idea of it not being alternate chapters. It was one point of view and then the next. I was intrigued. It took me a while to get around to this book, but when I did, I was pleased I did. It took me a while to really invest in the story. When I had got engrossed, I really couldn’t put it down. It doesn’t matter whose story you start with, but I personally started with Lyra. Lyra was born at Haven Institute. She interacted with doctors, nurses and replicas. Lyra was clever though. She learnt how to read and yearned for affection. When Lyra escapes after an attack of Haven, Lyra starts to realise what exactly Haven was doing to her. Gemma, meanwhile, has always been protected by her parents as she was a sickly child. Gemma rebelled against this protection and went away to search for answers about the secrets that her parents were keeping. There are some amazing supporting characters in Replica too. I loved Gemma’s friend Alice in particular. I don’t want to spoil too much of the story as it is one with quite a few twists and turns. Both sides of the story have some clues towards the other character’s journey. It’s such a lovely reading experience when both stories meld together to find out what has been happening. 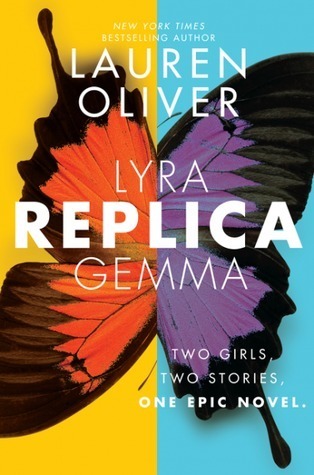 I personally preferred reading Gemma’s story, but that’s not to say Lyra’s isn’t interesting. It is! It’s just I connected more with Gemma. When I first started reading this book, I wasn’t sure if I’d read the next one, but as I got into it, I found myself thoroughly enjoying the story and I’m definitely intrigued to see what’ll come next! A wonderful read that captured my attention despite it being over 500 pages! Wow, I have really mixed feelings about this book. I was so nervous to read it because it’s been everywhere! Most people seem to love it and when this happens, sometimes I end up raising my expectations too high and don’t end up enjoying the book as much as I hoped I would. I tried to lower my expectations whilst reading this book because I really wanted to give it a fair chance. I thought Illuminae was a really intriguing, unique read. I wasn’t as blown away as I wanted to be by this book, but there’s no denying that it is a brilliant, original read that I think is well worth exploring. It’s really hard to review this book because it is so different. It’s a story about Kady and Ezra. It’s based in 2575. There is a war over a planet, a deadly plague has broken out and a fleet’s AI could quite possibly be their enemy. Kady hacks into data to try and discover the truth. She needs the help of her ex-boyfriend Ezra. Illuminae is action packed and uses so many formats to tell the story. There’s emails, military files, instant messaging, medical reports and interviews. It really was a unique format which instantly appealed to me. I think the formats really helped to tell the story in such a gripping way. I love short and snappy chapters. I love creativity in the way information is presented. It really did keep me turning the pages. Some of the art work is simply stunning and this is one of the highlights of this story for me. At times, I felt this book got a little slow which is why I haven’t rated it four stars. Most of the time it was action-packed but some of the reports, in my opinion, slowed down the pace and I wanted to quickly skip through them but I was worried that I’d miss something important to the story. I also wasn’t overly convinced by Kady and Ezra’s relationship. It seemed a little forced to me. Niggles aside, I do think that Illuminae is a decent read and I can definitely see why people have been raving about it. There is so much to enjoy within the pages. 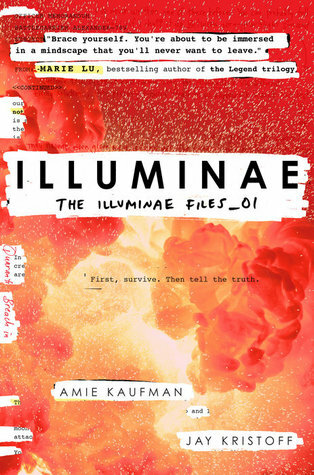 When I think of Illuminae it does bring back good memories and I would definitely consider reading the next book in the series. I’m just not in any rush to do so. A decent, unique YA science-fiction read! I initially saw this book doing the rounds on the Top Ten Tuesday meme. I’m not a massive fan of books that jump around in time a lot, but I was assured that this book was worth it. I have to say, I went into reading this book not expecting to like it. However, I was pleasantly surprised. Sure, it can be confusing at times but on the whole I thought it was a fantastic read that I’m thrilled I read. This book centres around two characters, Katherine and Matthew. They are destined to be together. I absolutely loved reading about how they found each other in different time periods. I also really liked how the story included different media. This aspect doesn’t always work well for me, but it really did work with The Next Together. I really liked reading the text messages, the emails, the notes to each other. It was adorable and added something special to the story.I really enjoyed the characters and loved seeing how they came together in each era. They seemed like a meant to be couple which I absolutely adored. I could really back them in any era. I was really surprised at how much I enjoyed this book because its science-y more than romance-y. I have to say science isn’t really my thing and I thought that would spoil the book for me, but surprisingly it captured my attention and kept me turning the pages. I thought it was a well paced storyline, although I felt a little let down by the ending which prevented me from giving it a full five star rating. I guess I wanted a little more resolution and a lot less confusion from the ending! An interesting, fast paced debut! I have been thoroughly enjoying The Giver quartet. I think the books are quick and easy to read. I have mixed feelings about The Messenger. I loved the cameos from the previous books, but I didn’t feel as excited by it as I would have liked. 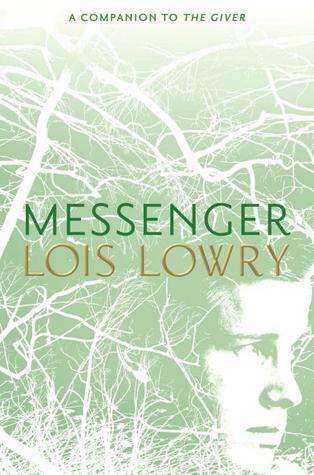 The Messenger takes place in a village with all of the outcasts from utopian societies. People with some sort of deformity or disfigurement are put into the Village of The Broken. Everyone accepts one another, no matter what the reason for them being ousted from their society. Unfortunately, this society doesn’t take long to become corrupt. Auctions called Trademart start up, where people can trade one good thing for another. People start to trade part of their souls in order to fix their disfigurements. People start to be horrible to one another and it becomes a terrible place to live. A messenger goes out to let the rest of society know that the Village of The Broken is closing down the village, so no new outcasts can come in. The messenger has a secret power though, which will either help or hurt the village. Lois Lowry’s writing is stunning to read and the story itself is intriguing if a little confusing at points! An intriguing storyline which is a little confusing, but well written all the same! 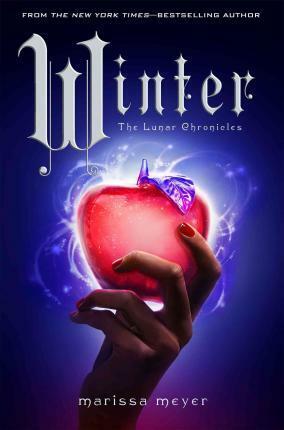 I realise that not everyone is up to date with The Lunar Chronicles, so I’m going to try and keep this review as spoiler free (and therefore quite short!) as I can. Very tricky to do that with a fourth book in the series. Winter is an incredibly long book at over 800 pages. Although I didn’t feel like the story was ever dragging. There were definitely moments within the story that it was hard to put it down. The last 100 or so pages are incredibly action packed and left me wondering where the story was going to go. I absolutely loved that we were reunited with Cinder, Scarlet, and Cress. I adored that we saw their relationships develop with their ‘Princes’. I absolutely loved the relationships and Winter and Jacin are no exception. I think Marissa Meyer writes romances so well. I have rooted for every one of the relationships. Levana is fantastic in this book. So wonderfully wicked. One slight negative that I have about this story, was that it felt it could be condensed a lot more. 800 pages + is mammoth! A fantastic ending to The Lunar Chronicles! I loved it! Rosalinda had been asleep for 62 years when she was woken by a kiss. Locked away in slumber, the 16-year-old Rose slept straight through dark times that killed millions and utterly changed the world. Hailed upon her awakening as the long-lost heir to an interplanetary empire, she is thrust alone into a dangerous future. It’ll be no surprise to regular readers of my blog that I absolutely adore fairy tales and fairy tale retellings. 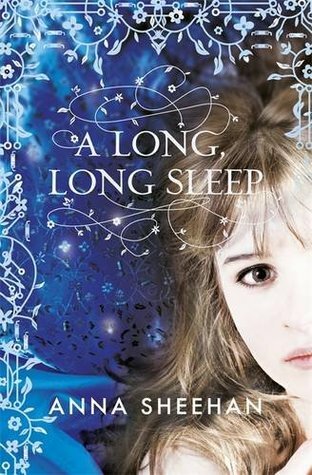 When I came across A Long Long Sleep at YALC 2015, I knew I just had to read it. The book states that it is a futuristic retelling of Sleeping Beauty. Sure, there are similarities, but I think it’s SO much more than that. I was immediately drawn into the story, and couldn’t put it down. Shortly after finishing A Long Long Sleep, I knew I had to get my hands on the next book No Life But This. The story centres around Rosalinda, known as Rose, who is a 16 year old girl who has just been woken up from a 62 year stasis sleep. The world has changed around Rose. Her parents are now dead. Rose inherits an empire that her parents used to run, but she does not have full control of it until she is older. Rose has to quickly adapt to the world 62 years later. She has to deal with her first love being gone, her life as an orphan and also an assassin who has been ordered to kill her. I thought this book was so unique. Yes, it does have its Sleeping Beauty connections, but they are very loose connections and as I mentioned, this book stands out in its own right. I absolutely adored Rose and her new alien friend Otto, who she technically owns. Crazy stuff. I also loved how much Rose grew as a character throughout, she starts out as easy to please, but she certainly comes into her own. I can’t wait to continue Rose’s story in the next book! It’ll be interesting to see if some romances develop. There’s certainly promise with the two main male characters, Bren and Otto. It was nice, for once, not to be swamped down with the romances and just enjoy the story! A highly enjoyable first book! I wish I had read this book sooner. The boy Eden loves just saved her life. Now she must save his. To do so she must make a huge sacrifice. 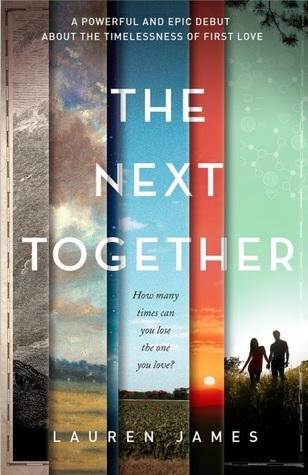 Eden can never see her friends or family again, as she travels a hundred years into the future. But the dangerous risk Ryan took to rescue Eden has been uncovered, and now Ryan faces an exile …which will leave Eden separated from him – the one person she can’t live without – and stuck in the future. She must fight to save both of them. I read After Eden quite some time now and for some reason never got around to Chasing Stars. It’s always a worry when it’s been a while since you’ve read the first book in the series. Some sequels jump straight into the action with no recap about what had happened prior to the book. I didn’t feel like Chasing Stars did that. I immediately knew what had gone on and was ready to follow Eden and Ryan once more. Chasing Stars is a decent sequel. It’s not a book that I found overly memorable, but I really did enjoy reading it. In After Eden, Eden and Eyan first meet when Ryan is trying to stop Eden’s friend from discovering a planet. Ryan is from the future. Eden is killed by a cleaner (someone that ‘cleans’ up mistakes) as a result of Ryan failing the mission. Chasing Stars centres around Ryan wanting to make it up to Eden, so he uses time travel once more to go back in time and stop her death. Ryan is breaking all sorts of time travel rules, therefore Eden and Ryan find themselves in more trouble with cleaners and court cases. Eden and Ryan just want to be together, but it’s not as easy as they’d hope it to be. Eden finds herself leaving her friends and family in order to be with Ryan. 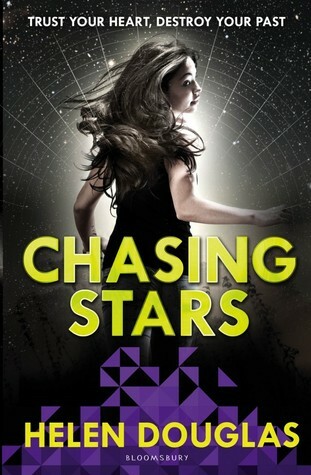 Chasing Stars was really intriguing, but for some reason I didn’t find it as compelling as After Eden. It took a while to build up the tension and then it didn’t captivate me. I still liked the characters and was intrigued enough to see how it ended, but I wasn’t as invested as I was in the first instalment. This is a duology and I think it ended well. There are some unanswered questions, but not really in a frustrating way. I’m pleased with how it ended and I’m happy I read it! A solid ending to the After Eden duology!